Guardian Cargo Logistics – We will go to the ends of the earth for you. In a world that is quickly becoming a global village, the need for a sophisticated, cost effective and lightning quick international Moving Company is greater than ever. One day you and your family are in New York or Los Angeles, the next day you are in New Delhi or Moscow and you need international movers you can rely on. Guardian Cargo Logistics will provide you with modern, cost effective and lightning quick relocation solutions for your move overseas. Our knowledgeable staff, friendly customer service, modern state of the art equipment and world-wide connections are sure to transform your international move into a comfortable, easy and affordable experience. Moving overseas from the US to any corner of the globe has never been easier. Guardian Cargo Logistics can quickly and efficiently transport any size of shipment, whether it is a full container load or a small shipment. We have relocation experts that specialize in Moving to Hawaii and Moving to Canada. We also specialize and have superior connections for moving to Europe, Asia, South America, Africa and the Middle East. No matter what corner of the globe you decided to make your new home in, Guardian Cargo Logistics will be there to take care of your international moving needs. It’s the 21st century, moving from the US to Australia, the UK or Germany should be just as easy as moving to the neighboring city. 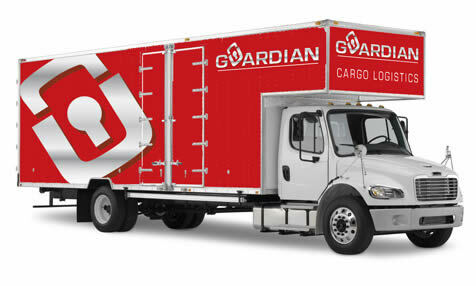 With Guardian Moving and Storage, it will be.